Shop my Amazon product recommendations from my dedicated shop page here. Check out all my Amazon reviews here. I include notes with most of the products that I share so keep an eye out for the little notepad icon on the top right corner. Amazon increased my monthly gift card to $200 for the month of August thanks to your overwhelming support of my recommendations in July! I also decided to sign up for my own Prime account so that we can try out the other Prime features such as Prime Video (can be shared with other adults in your household), Prime Music (cannot be shared with other adults in your household but I like the easy to use interface), Prime Reading , and Amazon Drive which gives you unlimited photo storage. We watched Sneaky Pete which was pretty good and now we’re watching the The Marvelous Mrs Maisel which is hilarious. Today is Amazon Prime Day (deals start at 3PM ET)! I love Amazon Prime and I enjoy Amazon Prime free shipping through my friend. She took advantage of Amazon Household which means that we both enjoy free Prime delivery benefits! I told my cousin about the ability to share Prime during Thanksgiving one year and he kindly shared his Prime delivery benefits with my sister when she mentioned that she didn’t have Prime. When sharing Prime each adult keeps his or her personal Amazon account while sharing the benefits at no additional cost. I may have ordered some new dresses to try today because they were free shipping & free returns via Amazon Prime. I always look for items clearly labeled ‘prime & FREE returns’ to make sure the entire transaction is a breeze even if I change my mind. Amazon Prime is much more than just free shipping. Read more about all of the amazing benefits here . Mail Day – Published July 8, 2018. Yesterday’s mail day includes items from Amazon, LOFT and Forever 21. 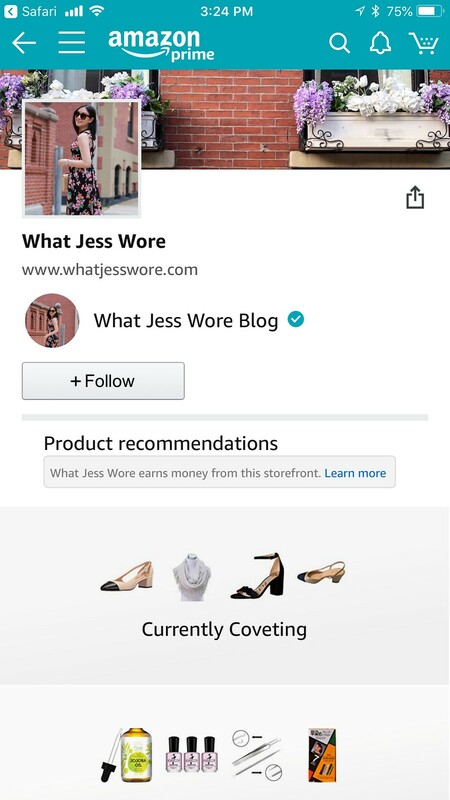 Below are the affiliate links to products featured on my IGTV @whatjesswore. – LOFT Dotted Tie Waist Wrap Romper – Size XXSP fits like size XSP. I’d have to tuck in the excess material at the waist into the elastic waistband to make the romper work since the torso is longer than usual.